MASSAROSA, Italy - To divine the secrets of the famously Italian olive oils that are exported from the famously Italian countryside here, it is instructive to go right to the source. 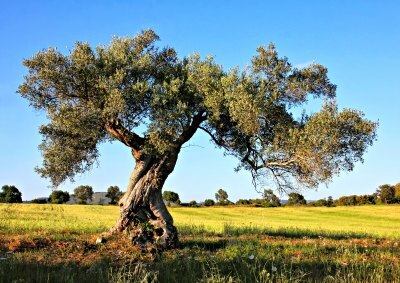 Not endless olive groves lovingly tended as if they were old friends, but more typically, a charmless tanker truck bearing foreign olive oil. Trucks hauling many tons of olive oil at a time arrive regularly at the new ultramodern factory here that bottles Filippo Berio, a popular brand in the United States that portrays itself as an old-style favorite from a land where olive oil is the national nectar. Into the Berio containers, the ones with labels that say "Imported from Italy," goes olive oil from Spain, Greece and Tunisia. Occasionally, the oil is from Italy itself, though usually not from Lucca, the celebrated olive-growing region in Tuscany that is the factory's home. Duo of 'First Day of Harvest' Extra Virgin Olive Oils: This spectacular pair of extra virgin oils comes exclusively from olives cold pressed on the very first day of the harvest. Brilliant green and bursting with bright fresh olive flavor, both of these delicious oils are among the best we have ever tried. The Italian olive oil industry has long been built on this illusion. Consumers the world over want Italian olive oil because it is supposed to be the finest, redolent of la dolce vita, and so the industry finds a way to give it to them, sort of. In truth, Italy does not grow enough olives to meet even its own demand, let alone foreigners'. Spain, not Italy, actually has the world's largest olive harvest. As a result, Italy is one of the world's leading importers of olive oil, part consumed, the rest re-exported with newly assumed Italian cachet. The industry has a ready justification: what is important is not where the olives are picked and pressed, but where the oil is refined and blended. The olive oil is Italian, the argument goes, because it has been processed by skilled Italian experts who choose oils from around the Mediterranean to create an oil for the foreign market. "Our object is to make our customer satisfied, regardless of where the oil comes from," said Alberto Fontana, president of Salov, whose family has exported Filippo Berio for five generations. In fact, for all the history proudly described on its labels, the Berio brand is not available in Italy. Salov produces oil for the domestic market under a different name. Nary an olive nor an oil press is visible here in the new $50 million Salov factory, Instead, as much as 100,000 tons of olive oil a year is produced with a computer-controlled array of 30-foot-high storage silos, mixing vats and assembly lines. Extra virgin olive oil, the finest grade, needs little processing, while lower categories are heavily refined. For export, the factory even churns out an extra light olive oil, a bland concoction that is about as enticing to a native Italian palate as bowl of SpaghettiOs. Whether the Italian practice is proper depends on the interpretation of different laws in Italy, the European Union and the United States. As the producers carefully point out, if a Belgian chocolatier uses cocoa from Ivory Coast, does that mean that the chocolate is African? To which at least some American consumers and the Spanish olive growers say, harrumph. More than a trace of Mediterranean pride is at stake. The Spanish industry, unable to develop as robust a consumer reputation around "Imported from Spain," has long resented essentially providing the vocals for the Italians' lip-synching. Better marketing might someday improve the image of Spanish oil, but meantime, the Spanish growers say, the Italians might improve their own packaging and advertising with a bit more frankness. "They are just pretending that their product is Italian," said José Guerra of the New York office of the Trade Commission of Spain. A New York lawyer named Marvin L. Frank agreed. In the late 1990's, Mr. Frank responded to the Italian business custom with an American one: he filed a class-action lawsuit against Bertolli, charging that it used deceptive packaging and advertising, including slogans like, "Born in the Tuscany Mountains." Mr. Frank said he settled after Bertolli agreed to modify its labels. Now, fine print on the back label indicates the oil's countries of origin, even though the front label still says "Lucca" and "Imported from Italy." Bertolli's lawyer in the case would not comment on it. Mr. Fontana of Salov said the company had recently added similar type to its back labels for exports to America and would eventually do so for other countries. Perhaps most dissatisfied are the Italian olive growers themselves, who grumble that the Italian producers are disloyal and buy so much Spanish olive oil because it is cheap. That, insisted Nicola Ruggiero, president of Unaprol, the Italian growers association, is the only advantage of the Spanish oil. "Their oil has a bad odor," he sniffed. His view is not widely held by olive oil connoisseurs, who said the Spanish oils can be as outstanding - or as poor - as the Italian ones. One effect of the dispute is that more Italian oils are prominently indicating that they are made from only Italian olives. But they are generally more expensive. And even so, given that it is difficult to trace an oil's source, olive oil fraud is not uncommon in Italy. Giuseppe Fugaro, a senior Italian agricultural official, said he brought more than 1,000 cases of fraud last year, involving label tampering and other unsavory practices. Asked about the legality of using foreign oil and describing the product as imported from Italy, Mr. Fugaro smiled and said there was nothing that he could do. "It is not fraud," he said, "but it is cheating."